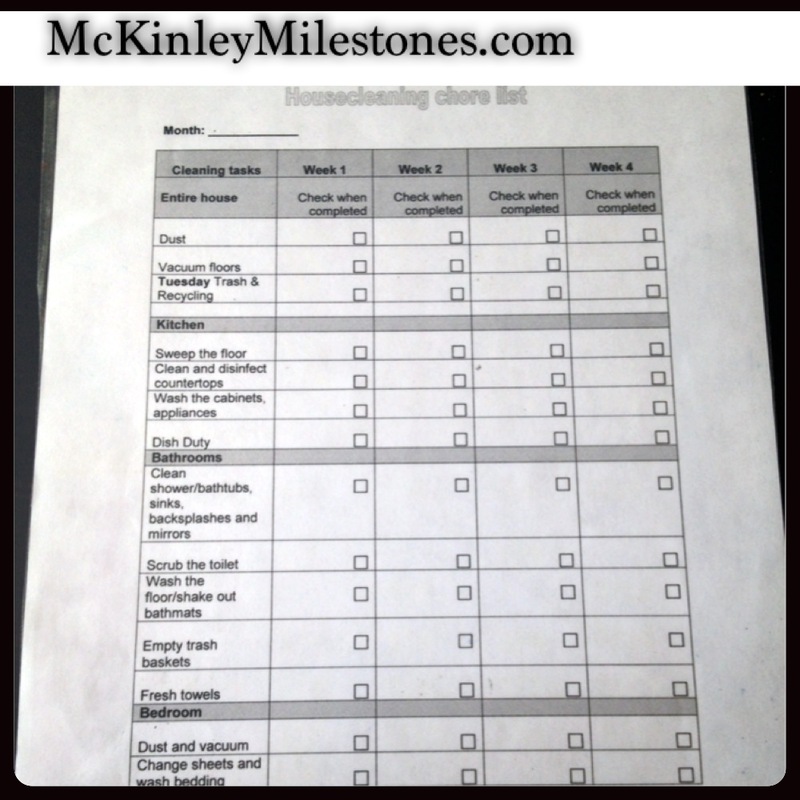 Need help staying organized with all the cleaning and household chores? As a SAHM (stay-at-home-mom) people may think I have time to kill. If you perhaps are one of those folks…let me clear that up for you…Nope. Keeping up with chores and cleaning is a bit of a nightmare, even for a SAHM. I had to use my organization skills, as well as a bit of my O.C.D tendencies, to help me out. You can find a household chore list online and print it off, or create your own in a word document by inserting a table. 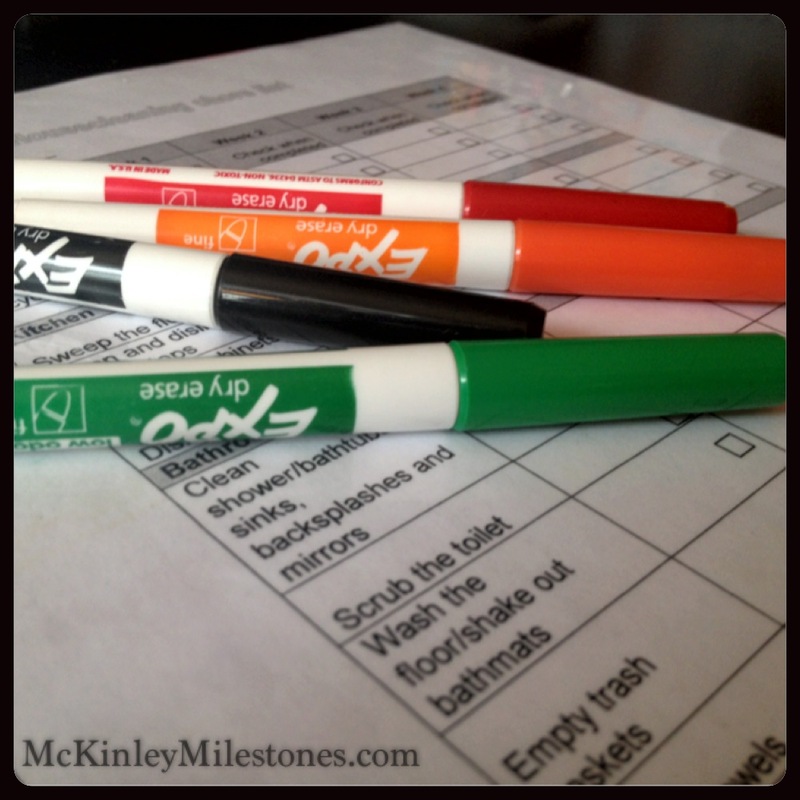 Once you have a chore list– LAMINATE it! This will enable you to use the same chore list again, again, and again. Invest in some dry erase markers. 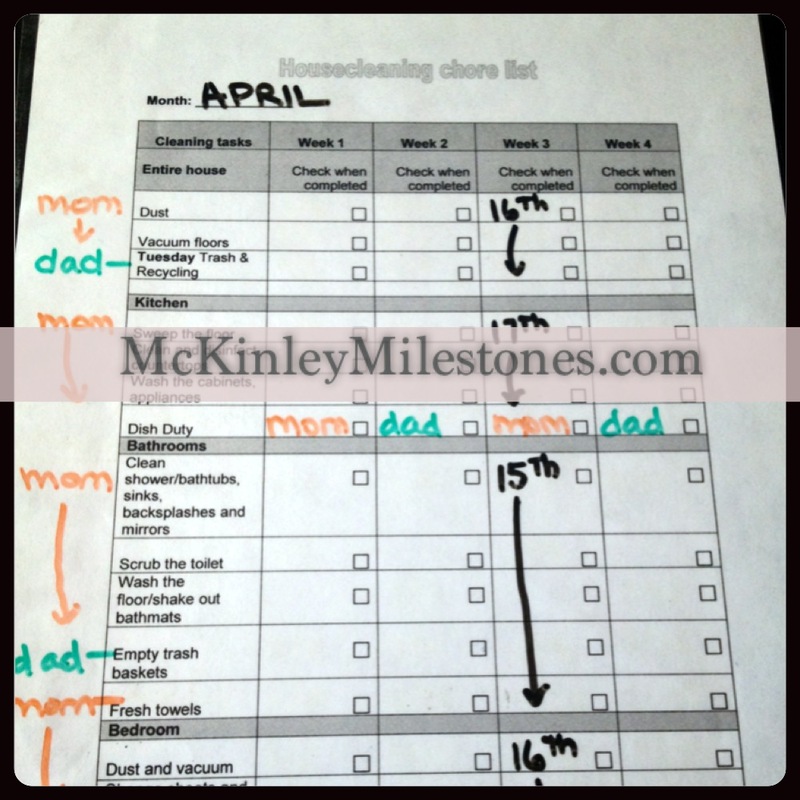 Mark up your chore list with the days you will complete the chore and names of people who will be completing them. Then hang it on the fridge or somewhere visible for everyone to see! Good plan, i think mine would include bake cake more than clean floors 🙂 i’m very lazy at housework.